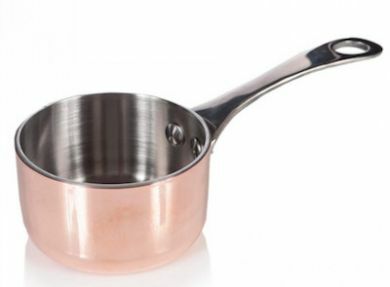 Copper/aluminium mini saucepan. Ideal for fine dining individual presentation of food to the table - stews, sauces, vegetables and accompaniments. Made from aluminium (copper coating).